Hello all, I'm having a strange problem. I was trying to play Super Monkey Ball Banana Blitz and the monkey pulls to the left all the time. I also tried a few other tilt based games and had similar issues. 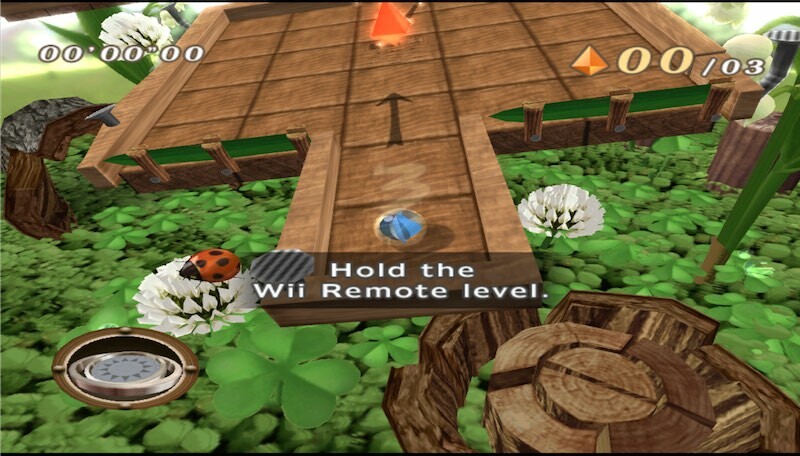 For instance, Excite Truck pulls to the right, and Mario Kart Wii pulls hard to the right. I've tried messing around with the settings. I tried setting the dead zone, all the way up to the maximum, but it still happens exactly the same way. I also tried switching over to keyboard only controls, and even with keyboard controls and my DS4 controller disconnected and turned off I still have the same problem. The controller works perfectly fine in Gamecube games. To be clear, I can control the monkey, so the controls aren't totally not-working, it just pulls to the left the entire time. Since it happens even with the controller disconnected and using keyboard controls only, I don't think it's the controller. I also tried deleting the entire Dolphin folder in Application Support and starting fresh, but it still happened. Does it need the sideways remote option checked? (02-02-2015, 03:58 AM)KHg8m3r Wrote: Does it need the sideways remote option checked? Not Monkey Ball, no. Mario Kart and Excite Truck do, and I had "sideways wiimote" checked when I was testing those. Go download 4.0-5396, it may fix your issue. Just tried that, it doesn't fix it. It may be a bad dump of the game. Do you know that you can generate the md5 sum of the game by right clicking on it, going to properties, and then on the info tab click on generate md5 sum. Compare that to a google search for the monkey ball md5 sum. if it doesn't match, it means the dump is wrong. (02-03-2015, 02:15 PM)KHg8m3r Wrote: It may be a bad dump of the game. Do you know that you can generate the md5 sum of the game by right clicking on it, going to properties, and then on the info tab click on generate md5 sum. Compare that to a google search for the monkey ball md5 sum. if it doesn't match, it means the dump is wrong. Tried that and it matches the md5 listed on gametdb.com. I also tried Dolphin 4.0 which ended up being worse - the monkey ended up going forward quickly without me touching anything. I also tried deleting the Dolphin folder in Application Support and starting fresh again, no luck. I even tried moving the game iso to a different hard drive in case there was some bizarre issue there, but that didn't help. I have no idea what's going on. Obviously there's something messed up with my setup but I have no idea what. This may be a bug then. The only game that I have that I know uses tilt is Kirby's Epic Yarn. I'll test in the morning to see if I can replicate this. Arg. I'm trying to think if I've ever played a game with tilt before this, but I don't think so. If I can find my wireless sensor bar I could try a real wiimote. edit: of course I realized I don't actually need a sensor bar for these games so I tried a real Wiimote anyway. Excite Truck and Mario Kart work perfectly with a real Wiimote, as expected. edit again - After trying it again, Monkey Ball Banana Blitz works perfectly with a real Wiimote. Still doesn't work correctly with an emulated wiimote using the Dual Shock 4 or any other control scheme though. Here's a video of the problem just to show I'm not crazy. Real Wiimote works fine but any emulated Wiimote does that. I've tried with the Dual Shock 4, as well as just with the keyboard and same thing both times in any and all tilt games I've tried. I've gone through and deleted every single Dolphin related file (even plist files and stuff) and redownloaded Dolphin and just used the default settings and it still happens. I tried dumping my Banana Blitz disc again, and that didn't help. I tried playing from a different hard drive, tried disconnected every USB thing, tried using the controller wired instead of bluetooth and none of these things helped at all. The controller works perfectly fine in everything else, it's just the emulated Wiimote thats a problem. I don't know if it's an issue with my system or an issue with Dolphin but I can't figure it out. Does anyone have any possible ideas or anything at all?? Like, even a vague guess at a hint of a possible fix? I'm tearing my hair out trying to find just one thing that might be causing this, but no luck so far.